3 Day-Old Baby Roshan has been diagnosed with CHD, Infracardiac TAPVC (Total Anomalous Pulmonary Venous Connection) and needs to urgently undergo open heart surgery. 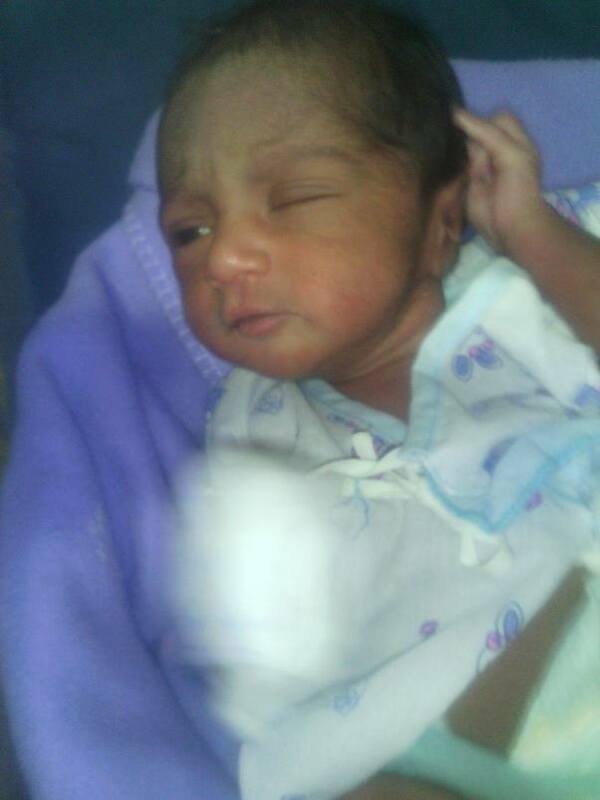 The baby was born as twins with a baby sister named Rekha, through invitro fertilisation. The family has already spent close to Rs. 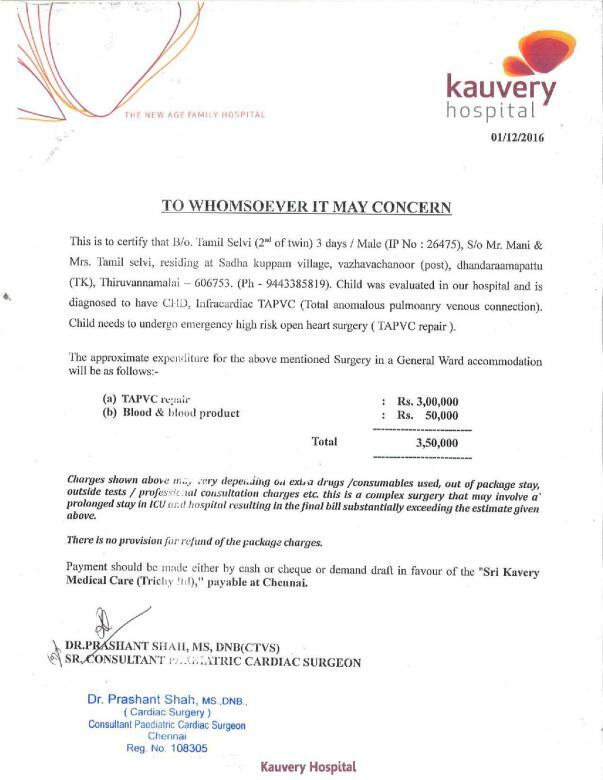 1.75L for the delivery and 3.5L for the fertilisation treatment and is in urgent needs of funds to save their baby. Mani and Selva are a lovely couple married to each other since October 2012. They look after each other and have been a great source of strength to each other in the time of need. 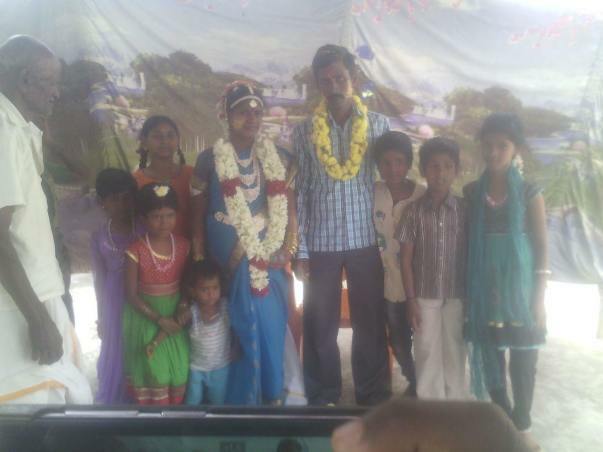 The couple wished to bring more joy to their lives by giving birth to kids. They tried to conceive multiple times however due to some complications they were facing difficulties in becoming proud parents. They did not loose hope and choose to conceive through invitro fertilisation. Their prayers were answered this year. Selva experienced pregnancy for the first time in her life and gave birth to two lovely kids, a boy and a girl last week on 27th November. The day has been the happiest day of their life and both of them were looking forward to experiencing parenthood. The joy of their birth has been overshadowed by the fear for their baby boy. The babies were born through a caesarean operation, however, both of them were healthy at the time of their birth. 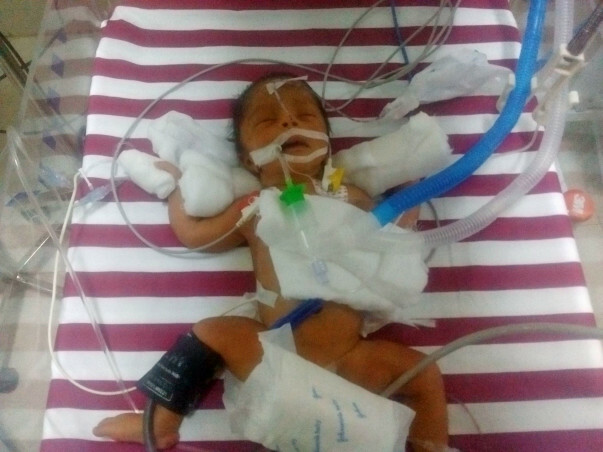 After three hours Roshan started developing breathing problems, the doctors at Appaswamy Hospital , Chennai suggested taking the baby to Kanchi Kamakoti Childs Trust Hospital, where it has identified that Roshan had a heart problem. He was then shifted to Kauvery hospital where is currently getting treated. This new has brought much trouble to both the parents as Selva is currently recovering from her operation at the hospital and Mani has been running from one hospital to other to look after Selva and Rekha and making sure his child is saved from the condition. Mani works as a school teacher in a private school Thiruvannamalai and earns Rs. 8000 per month. Since this income is very meagre, he also goes for daily wage work in the evening in the agricultural lands near his place. Through that he earns Rs. 300 per month. Tamil Selvi works as hostel warden in a government school. She earns Rs. 20,000. Due to the pregnancy, she has not been going to work for the past few months. The family has spent close to Rs. 1.75L for the delivery and 3.5L for the fertilisation treatment. They have taken loans from friends and family and have also mortgaged their land. All the savings have been used so far and need urgent help to save their son. Your contribution will save a young life and make bring happiness in the lives of the new parents. The baby underwent the complex surgery on 3rd December as we could not wait any longer. This surgery needed to be done at the earliest. The surgical procedure was successful and the child was currently recovering in the ICU. 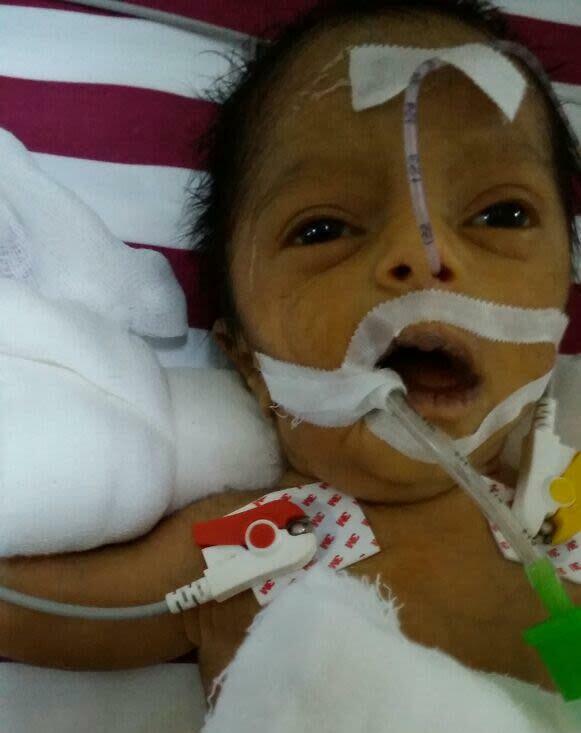 I am deeply saddened to inform you all that baby Roshan passed away this morning due to severe infection. We did our best, but we couldn't do much in the end. The deterioration was rapid over a span of 6 to 8 hours and we just had to see the child go in front of us. The baby was born prematurely which increased its chance of infection multifold. Our team truly appreciate the good work done by all the kind hearted people and wish to thank each and everyone from the bottom of our hearts. Keep the family in your prayers.